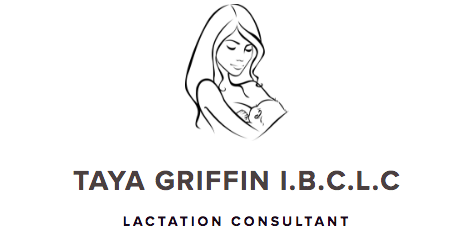 Thank you to our lovely sponsors, amazing vendors and the beautiful mamas and babes that stopped by. This is our favourite event of the year and we are so glad you could be a part of making it special. 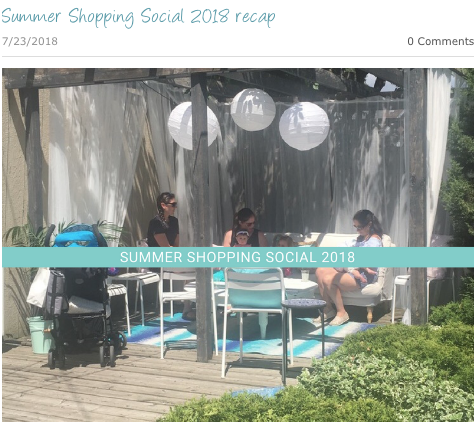 If you missed it this year don't worry, our Summer Shopping Social and annual so follow us on instagram to stay up to dat with all our events and activities and we'll see you next year. Let's celebrate summer with champagne, fresh lemonade, and shopping. Our Summer Shopping Social runs from 11AM - 4PM. Drop in anytime! Join us Wednesday, July 18th from 11am - 4pm, and treat yourself to a refreshing drink and something pretty from our boutique. Register in advance and receive a free gift when you arrive. PLEASE NOTE REGISTRATION IS NOW CLOSED. Due to capacity restrictions there will most likely be a line up outside our building to get into the event. Due to space restrictions we will not be able to accommodate all strollers for parking. Additional stroller parking will be available on the east side of our building on Vancouver Avenue. Mini manicures, champagne, watermelon lemonade, sweet treats, beautiful mamas, adorable babes and some amazing shopping deals! 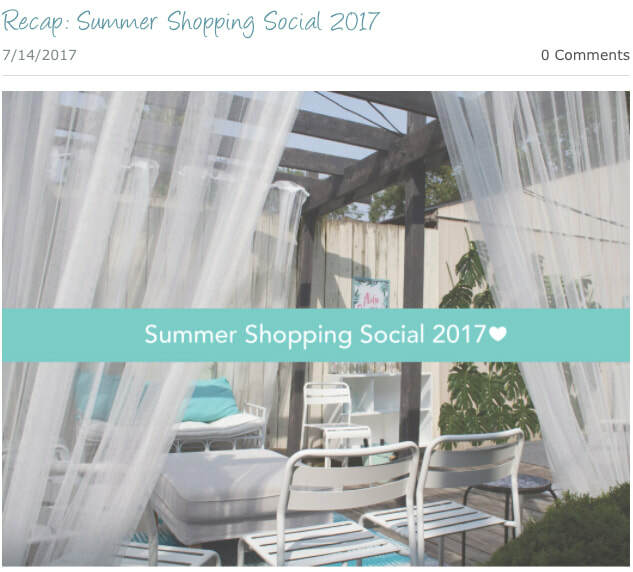 We had almost 400 mamas join our 2017 Summer Shopping Social on Wednesday July 12th. Thank you again everyone for coming!